Today marks the beginning of autumn. The falling of leaves will accompany the sound of cash registers, as drug stores will soon fill with sick men and women stocking up on cold medicine. A trending alternative, however, provides an organic way to stay healthy when seasons change. Nelly Boyt, an employee at Clover’s Natural Market on Chapel Hill, believes remedies offer more than mainstream pills that people use to soothe their symptoms. She said almost all hospitals used plant-based remedies in the 1930s. Homeopathy, the practice of using plant-based remedies, is still popular in Europe. Homeopathic medicines usually come in the form of pills, rubs and liquids. After struggling with anxiety, stress and depression, junior Kaite Ritchie introduced these remedies into her medical routine. Learning about different organic options led Ritchie to wean herself off of chemical-based medications. Ritchie started using the holistic approach last year and now uses aromatherapy, homeopathy and essential oils. Doctors write six million antidepressant prescriptions for children every year, according to Clinical-Depression.co.uk. These drugs usually come with side effects, and in Ritchie’s case the symptoms often get worse while on prescriptions. The only remaining prescription drug Ritchie takes is an antidepressant, which she hopes to get off of soon. Antidepressants are one of the many medicines that can often elicit more harm than good in the body, according to an article from dailymail.co.uk. Boyt said homeopathy doesn’t work on everyone, though. She hears testimonies of customers who use homeopathy every day and said experimenting is part of the process to find what works best for them. 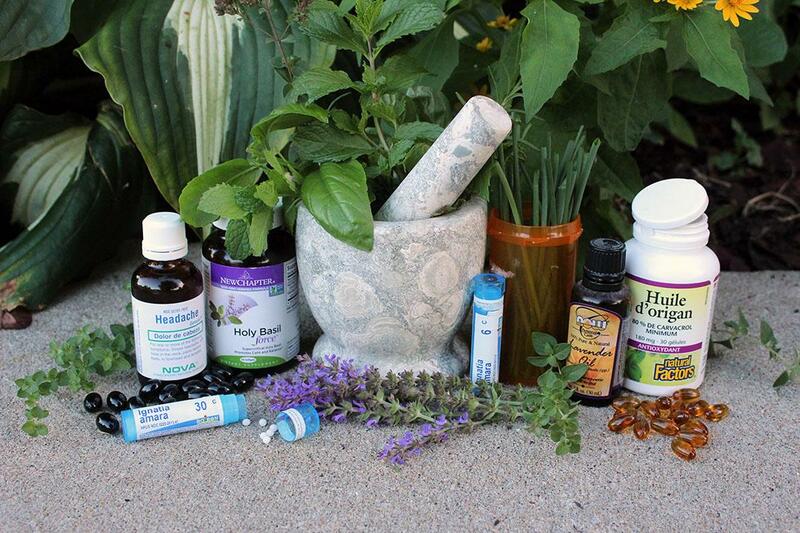 Homeopathy and herbal medicines can help with more than just emotional therapy. An article from naturalsociety.com reported that remedies can heal physical injuries, as well. Two common remedies for injuries are Arnica and Symphytum. Arnica is an external cream or ointment, which is also available in the homeopathic pellets. Symphytum is a shrub that people can use in cream or ointment form. There are also remedies for more common ailments that people experience every day. Not everybody agrees with the benefits of homeopathy, according to an article from The Guardian. Researchers and doctors often call it nonsense. Dr. Ellen Thomas occasionally recommends patients plant-based remedies such as melatonin for a safe sleeping aide, but more often than not she sticks with mainstream medicines. One reason why Thomas stays away from plant-based medicines is because of their levels of dilution. Metro News reports that homeopathic solutions are so diluted that finding a trace of the original substance is unlikely. Also, organic medicines, unlike other medicines, don’t go through the same Federal Drug Administration tests. Depending on each body, natural remedies could be successful or might not work at all. In Boyt’s opinion, trying out natural remedies could never hurt.